An Aurora man has been convicted of sexually assaulting a young child he knew. 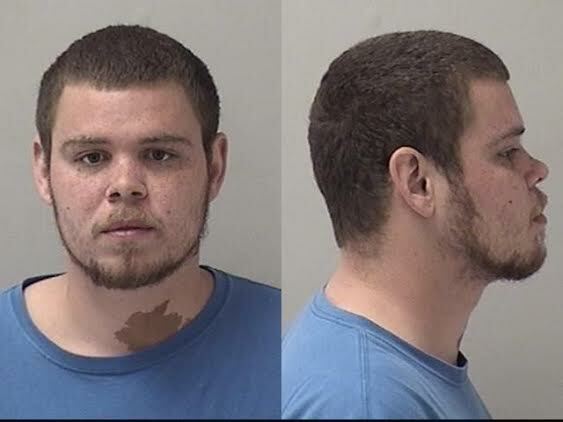 Brandon M. Niford, 30, of the 400 block of Plum Street, Aurora, was convicted late Wednesday, May 7, 2014, by a Kane County jury of predatory criminal sexual assault of a child, a Class X felony. The jury deliberated for less than two hours before reaching the verdict. Between February 2007 and February 2010, Niford engaged in an act of sexual penetration with the victim, whom he knew. The victim was younger than 13 at the time. Circuit Judge Karen Simpson set Niford’s next court appearance for 1:30 p.m. July 23, 2014, in Courtroom 311 at the Kane County Judicial Center for post-trial motions. Niford’s sentencing hearing is set for 1:30 p.m. July 30, 2014. Niford faces a sentence of between six and 30 years in the Illinois Department of Corrections. Niford remains in custody at the Kane County jail, where he has been held since his arrest in lieu of $1 million bail. Bond was revoked upon conviction. “This victim, like so many victims of child sexual assault and abuse, showed remarkable courage in coming forward to tell her story, and she deserves great praise for doing so. We hope other victims believe that if they have been abused like this victim, and if they come forward, that someone will listen and that our office will work hard to give them justice. And we will do so even when the victims do not have the support of family members,” Kane County State’s Attorney Joe McMahon said. The case was prosecuted by Kane County Assistant State’s Attorneys Lori Schmidt and Reagan McGuire, who are assigned to the Kane County Child Advocacy Center.